Fairview Church of Christ has a rich history dating back to the early 1900’s. In 1911, W.C. Gentry and his wife, I.F. Gentry transferred ownership of the present property to J.L. Peek, Van Talbot and Simeon Carr, who were church elders of the congregation. This land also included a church building which was used by our congregation until 1945, when it was torn down and a new building erected. In 1964 an additional strip of land was given to the congregation by Edward and Thelma Crawley and classrooms were added to the building. Other additions to the church building included bathrooms in 1975 and the baptistery in 1977. In 2007 our current church auditorium was added along with two new bathrooms and a new baptistery. Our old auditorium was remodeled into a fellowship hall, used for business meetings, fellowship meals and other events. Our rock marker, located in front of the building, was placed in 1930 by Talt Terry. Traveling to Monterey, Tennessee in a wagon drawn by two mules, Brother Terry picked up the sandstone rock that would become our marker. 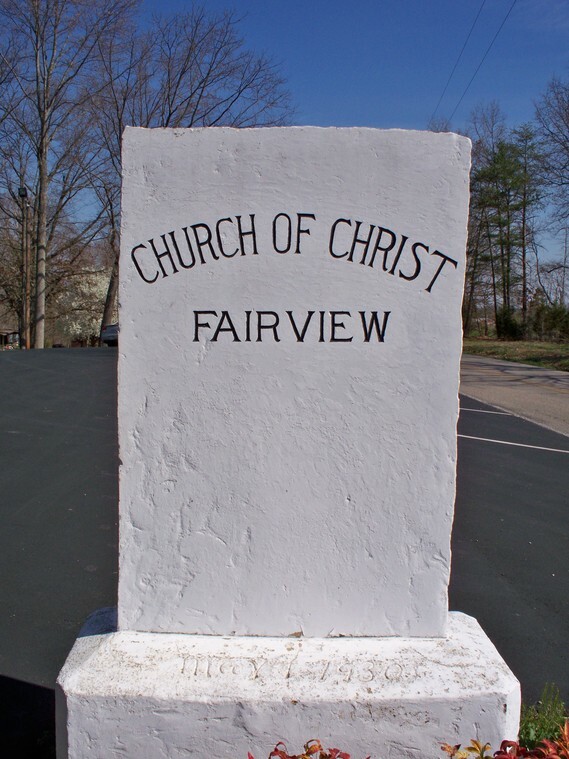 After this two day trip, Brother Terry hand carved the words “Fairview Church of Christ” into the sandstone. Because of its resemblance to a grave marker, many who passing by in their wagons would laugh and say Fairview must have died because they have put up their marker. 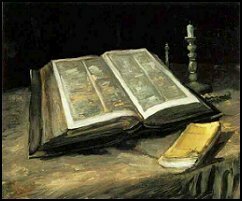 During the early years of the congregation, having no regular minister, the men of the congregation would read from the Bible and give a talk. Two of these men were Gillis Smith and Talt Terry. In the 1930’s, Ben Fox and Jess Kurkendall preached some for the congregation. Others who preached during this early time were Brothers Ward, Lawson, Anderson, Newman and Hunter. Brother Charlie Lemons held one of our first Gospel meetings we have on record. It was held in August, 1940. Charlie and Willy Lemons held several meetings over several years at our congregation during this time. Some of our elders and deacons have included Van Talbot, J.L. Peek, Simeon Carr, Harley Jackson, Edward Wright, Comer Phillips, Landon Loftis, Woodrow Sells and Arliss Talley. Another notable person, who preached for our congregation in the earlier years, was A.W. Dicus, who later wrote the hymn entitled “Our God is Alive.” This hymn is still in hymnals and sung at many congregations today. Our congregation at Fairview continues to work for our community, serving the people with love and concern for their soul’s salvation. We continue to host Gospel Meetings and Gospel singings, and strive for every opportunity to bring others to God.